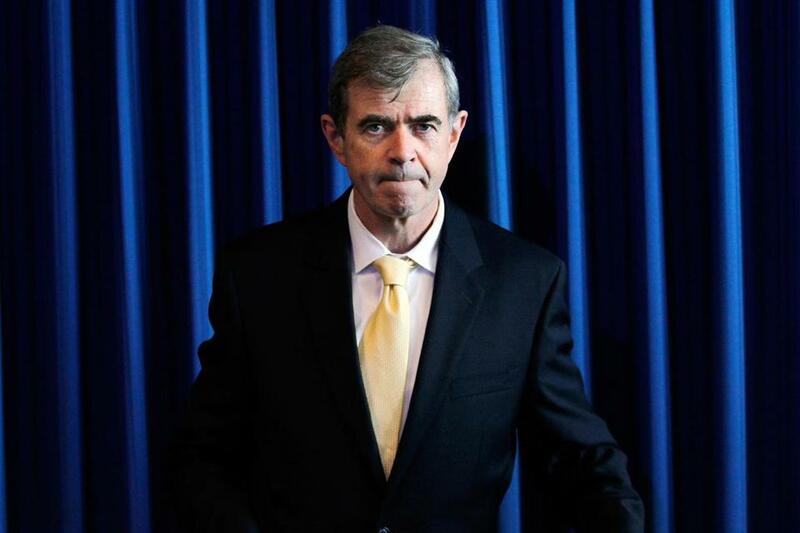 For two decades now, Secretary of State William F. Galvin has strictly enforced compliance with state lobbying laws, securities regulations, and corporate filings. And as the keeper of official records, he’s also a stickler for making sure state agencies retain important public records. Yet Galvin’s own office has only scant records of his own decisions to award state contracts totaling nearly $440,000 over 10 years to a Washington-based political consulting firm that has done work for three of his reelection campaigns. For many of those years, the state contracts for those services — mostly producing public service announcements in which Galvin stars — provide virtually no information about the work to be done. And they were awarded to the firm, SKDKnickerbocker, without being advertised or competitively bid. Galvin’s office, and that of the state auditor, treasurer, and attorney general, among others, are exempt from state procurement regulations that require such bidding. But state regulations recommend that exempted agencies follow those rules anyway, and both the attorney general’s and treasurer’s office do. In an interview, Galvin said he uses competitive bidding for some services but not for legal and professional services. When it comes to SKDKnickerbocker, Galvin said, he believes their price is competitive and their work is good. “You can’t disqualify someone simply because they’ve done your campaign work,’’ Galvin said in an interview. Galvin said he believes it would be difficult to find local firms that can do consistently good work, an assertion that left even Democratic media experts incredulous. Dan Payne, a Democratic analyst and a long-time media and political consultant, said there are hundreds of public service announcements produced every year by media production companies in Boston. Payne also said he believes it is inappropriate for Galvin to funnel the work year after year to his campaign media consultants. According to Galvin, the firm did media work for his 1998 reelection campaign; it was then called Squier, Knapp, Dunn. Galvin said he liked their work and decided to give them contracts to produce public service announcements, mainly aimed at increasing voter registration. What followed were several contracts. In 2000, 2001, and 2004, the firm was paid $145,192.96 for producing the PSAs. Galvin said he dropped the firm in 2005 and 2006 because he was not satisfied with the quality of their work. Even so, Galvin in 2007 picked SKDKnickerbocker to do the same work for his office. In seven of the last eight years, the state has paid the firm another $294,642.09. Why pick the same firm if he was unhappy with their work? Because, Galvin said, he did not believe there were any Massachusetts firms that could match SKDKnickerbocker’s quality. The company also did media consulting for Galvin’s 2002 and 2010 campaigns, though the firm’s billings have been modest — $24,711.95 in 2002 and $35,028.31 in 2010. Also in 2010 the firm was paid a percentage of Galvin campaign’s media advertising, an added $53,000, according to Galvin. Almost every year, the state contracts have been for amounts between $25,000 and $50,000. But for the fiscal year in which Galvin’s 2010 campaign was waged, the state contract for the firm was $100,000. Galvin said his campaign has never received any extra benefit from the company because of the state contracts. In nine contracts over seven years, Galvin’s office used a total of 26 words to describe the services. Most of SKDKnickerbocker’s invoices for payment provided little or no information about its work. Nearly all the contracts ignored the state contracting requirement that the firm identify the employees assigned to the project. Julie Norton, the SKDKnickerbocker official who Galvin said worked on the contracts, did not respond to e-mails and a voicemail message. Galvin’s preferential treatment for the company has not surfaced in his reelection campaign against his Republican challenger, David D’Arcangelo. According to D’Arcangelo, he’s been unable to make it an issue because Galvin’s office said it would charge him $5,300 to give him the two decades of extensive records he asked for. Galvin’s office, which also has stewardship over public records — and reprimands government agencies that assess prohibitive costs — attributed most if its estimate to the extensive work it would take to locate the records. D’Arcangelo said his campaign account at the time had no more than $8,000. And he noted that state agencies, including Galvin’s office, can waive fees when making documents available is in the public interest. By Galvin’s reckoning, there is no justification for any criticism. He insisted the contracting language was sufficient, though he expressed annoyance about some omissions. “These were production services. There was no mystery about what was done. There is nothing deceptive or inaccurate about the language,’’ he said. Globe correspondent Todd Feathers contributed to this report. Walter Robinson’s e-mail address is walter.robinson@globe.com.